There are some puzzles which will not make any sense when you read these for the first time. 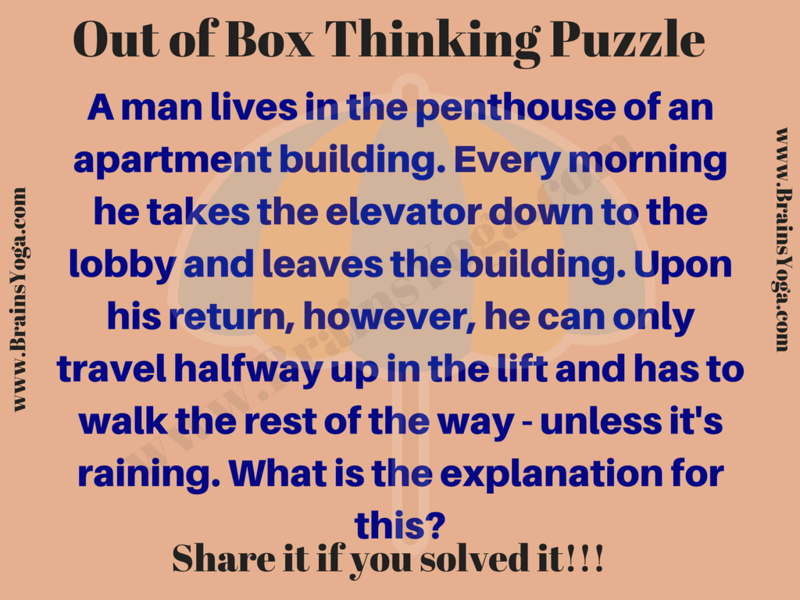 However if we think out of box then we can solve such puzzles easily. 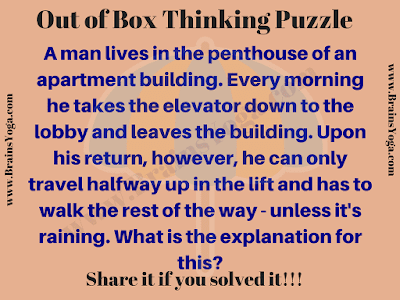 Here is one out of box thinking riddles which will twist your brain. Can you solve this lateral thinking puzzle quickly? Can you think out of Box and solve it? Answer to this out of box thinking riddle, can be viewed by clicking on button. Please do give your best try before looking at the answer. One of the explanation for this is that man's height is short. He cannot press the higher number button in the lift. In the rainy day, he carries a umbrella and uses it to press the higher floor number.